This past weekend was lovely. Not because of any spectacular event, but because of all the little things. The kind that are easy to miss, and so important not to. Lazy mornings in bed drinking tea and eating croutons. Soaking up the sun at the park while the dogs run as though their hearts might burst. Dinners that creep into the wee hours with new friends. Rediscovering a song you loved back when life was simpler, but didn’t seem as such. Similar to how some create a sound track for their lives, I inevitably find myself creating meals. Breakfasts that comfort or inspire, lunches that speed along or stop to pause, dinners that celebrate simplicity or boast grandiosity. This pizza somehow manages to span nearly all of these. While making your own dough might seem intimidating at first, it is surprisingly easy and delivers a much more complex and affordable canvas than the store-bought variety. Easily enjoyed over a long dinner with lots of wine, it is also perfect for a bite on the go, and while there is something undeniably impressive about anything involving the word “truffle”, the minimal number of quality ingredients makes this weeknight friendly as well. What are the little moments that you most enjoy? At least twenty minutes before baking, preheat the oven with a baking stone to 550 degrees or whatever is your oven’s maximum. Dust one of your loaves with flour and dust a work surface as well. Flatten the dough with your hands to produce an 1/8-inch-thick round. 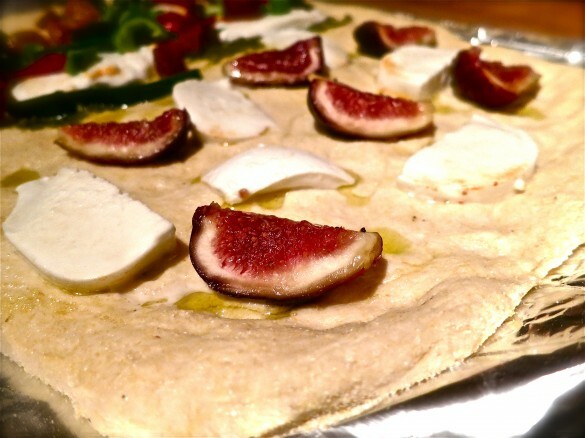 Brush with olive oil, and top with half the mozzarella and half the figs. Slide the pizza directly onto the stone (I find this scary AND I’m bad at it, so I usually try to coerce someone else into doing it). A number of back and forth shakes may be necessary. Check for doneness after 8 – 10 minutes, rotating if browning unevenly. Continue cooking until light golden brown, up to another 5 minutes. While pizza one is cooking, prep pizza two to minimize time sitting (and therefore STICKING) on the board. Allow to cool slightly, drizzle with truffle honey, and serve. Makes four 1-pound loaves. Recipe easily halved or doubled. Mix the yeast, salt, sugar, and olive oil with the water in a heavy-duty stand mixer if you have one. Mix in the flour until well incorporated. You can use it immediately after that, although it’s easier to handle when cold. 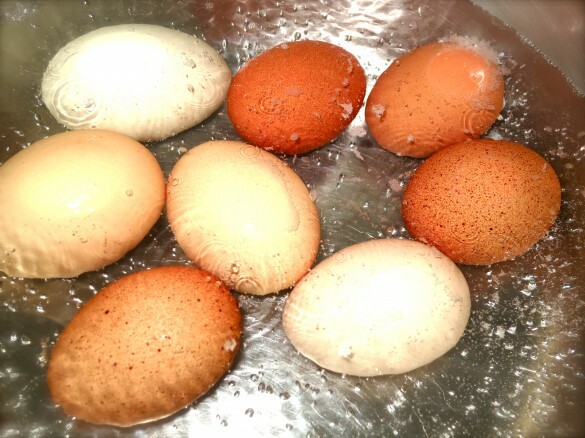 Refrigerate in a lidded (not airtight) container and use over the next 12 days. It really is Christy…I loved it when I was little and I love it now. I think bringing back Friday night as Pizza Night is long overdue! What are your favorite kinds to make? Or more importantly…have a favorite dough recipe you’d be willing to share? Truffle honey? Good gracious! That sounds amazing. I highly, highly recommend. It’s also great with gorgonzola. What a beautiful post Erina! It really is so important to stop and appreciate those happy little moments. I’ve been trying to do that more lately. This pizza looks divine! I’m a sucker for figs on just about anything. It’s the tail end of fig season here, so I should get on this asap. Thank you Katherine…that’s high praise coming from you! It’s hard to make time and room to slow down, but so important indeed. If you like figs…you’ll definitely like this! I am absolutely going to try this! Best pizza I ever had was in Florence…cliche, I know, but true! Thank you dear…that’s very sweet and oh-so-nice to hear…life’s simple pleasures…how lucky we are to have them. Figs, cheese, and honey are one of my favorite combinations ever–maybe with a little arugula and black pepper if I’m feeling extra fancy. Love this pizza! Too funny! I’d wanted (and planned) to put arugula on this, but when I pulled it out from the fridge it was positively pathetic and tired. Very wimpy and lame looking. That and pepper though would have been great additions! Love this post and that root beer in the pic ;). 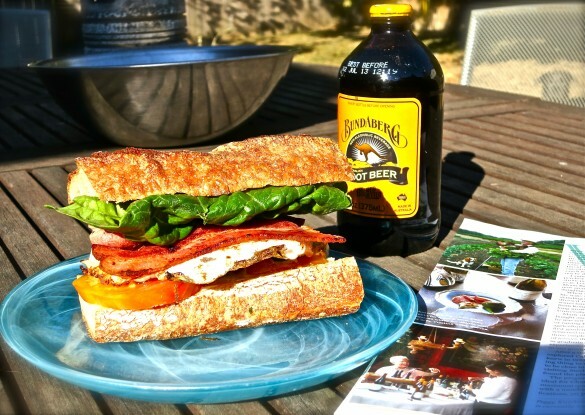 Are you loving Artisan Bread in 5 Min a Day? I read it and bought all the equipment, now that the weather seems to have turned, I am going to start making bread all the time! Your photographs are wonderful, and reading this post was like settling onto the couch with a sigh. I do Friday Night Pizza night because my family demands it, and once I pick up some gorgonzola and caramelize some of my onions, I’ll be making a pizza using those toppings. Love this post, Erina! With the raining pouring down my window, I’ve almost forgotten what the sunny days looked like – your Sunday breakfast photo reminds me. 🙂 We drank that brand of ginger beer when we were in Australia – so good! 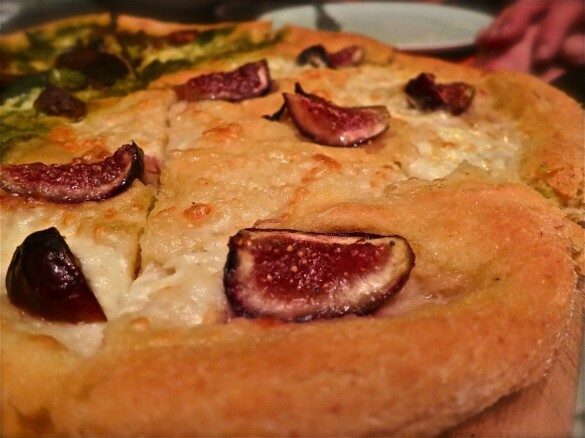 And a fig topped pizza sounds divine. Thanks Hannah…Fall has certainly returned so the sun of last weekend was a wonderful send-off. Although today with the rain coming down, being curled up on the couch doesn’t sound so bad either!